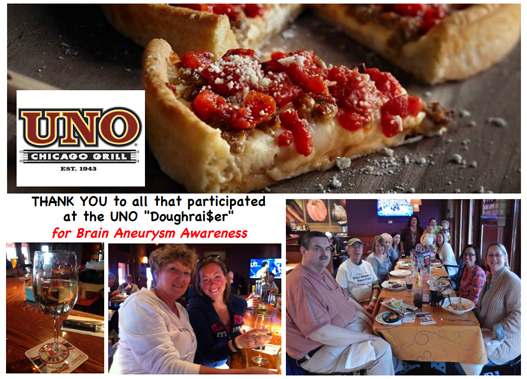 A big THANK YOU to all those that came to the UNO's "Doughrai$er for Awareness" on April 24-27, 2014. Over 150 people enjoyed a greal meal while supporting Brain Aneurysm Awareness. We appreciate UNO's involvement with community fundraising efforts and we also want to thank our committee members Mira and Jess for organizing this event.